EntrepreneurWeb.com may, in its sole discretion and for any reason, modify, supplement or amend these Terms and Conditions without any notice or liability to you or any other person, by posting revised Terms and Conditions on the Website. Your continued use of the Website signifies your acceptance of such revised Terms and Conditions Agreement, so check back frequently to read the most recent version. The Website, its design, all text, graphics, content, video, audio and the selection and arrangement thereof are the property of Entrepreneur Web Technologies Inc., and/or its various subsidiaries, affiliates, Entrepreneur Web Technologies Inc. Associate Dealers, third party providers and distributors ("Third Parties"), and are protected under the copyright laws of Canada and other countries. None of the content found on the Website may be reproduced, republished, distributed, displayed, sold, transferred, or modified without the prior written permission of Entrepreneur Web Technologies Inc. and/or the applicable Third Parties. EntrepreneurWeb.com, SEO Ready, SEO Ready Blog Website, SEO Ready Website, SEO Ready E-Commerce, SEO Ready E-Commerce Website, SEO Ready Website Design, SEO Ready Websites, Client Success is 1st, Reach, Engage, Convert, Reach Engage Convert, BuzzPages.net, BuzzPages, BuzzPges, EntrepreneurWeb, Entrepreneur Web, Entrepreneur Web Technologies Inc. and all other Entrepreneur Web Technologies Inc. related trademarks and design marks displayed on the Website (collectively, the "Trademarks") are registered and proprietary trademarks of Entrepreneur Web Technologies Inc.. Other trademarks and design marks appearing on the Website are trademarks of their respective owners. Nothing contained on the Website should be construed as granting, by implication or otherwise, any license or right to use any trademarks, including the Trademarks, except with the prior written permission of Entrepreneur Web Technologies Inc. or such other party that may own the applicable trademarks. EntrepreneurWeb.com reserves the right at any time and from time to time to modify or discontinue, temporarily or permanently, the Services (or any part thereof) with or without notice. EntrepreneurWeb.com and/or its various subsidiaries, affiliates, Entrepreneur Web Technologies Inc. Associate Dealers, third party providers and distributors shall not be liable to you or to any third party for any modification, suspension or discontinuance of the Services (or any part thereof). Neither the Website nor its content may be, in whole or in part, copied, reproduced, republished, uploaded, posted, transmitted or distributed without the prior written permission of Entrepreneur Web Technologies Inc., except that you may download, display and print the content presented on the Website for your personal, non-commercial use only. Unauthorized use of the Website and/or the content contained on the Website may violate applicable copyright, trademark or other intellectual property laws or other laws. You must retain all copyright and trademark notices, including any other proprietary notices, contained within the content on the Website. The use of such content on any other web site or in any environment of networked computers is prohibited, except with the prior written permission of Entrepreneur Web Technologies Inc.. In its sole discretion, in addition to any other rights or remedies available to EntrepreneurWeb.com and without any liability whatsoever, EntrepreneurWeb.com at any time and without notice may terminate or restrict your access to any component of the Website. Your website account may be accessed only by use of your e-mail address ("Login Name") and password. You are solely responsible and liable for any use and misuse of your Login Name and password and for all activities that occur under your Login Name and password. For security reasons, you must keep your Login Name and password confidential and not disclose them to any person or permit any other person to use them, except an authorized EntrepreneurWeb.com representative. We recommend that you choose a password that is unique to you and not easily guessed by others. You should change your password on a regular basis, and you must log out at the end of each session. You must immediately notify EntrepreneurWeb.com of any unauthorized use of your Login Name or password, or if you know or suspect that your Login Name or password has been lost or stolen, has become known to any other person, or has been otherwise compromised. Neither EntrepreneurWeb.com nor Entrepreneur Web Technologies Inc. is under any obligation to verify the actual identity or authority of any person using a Login Name or password to access and use the Website. 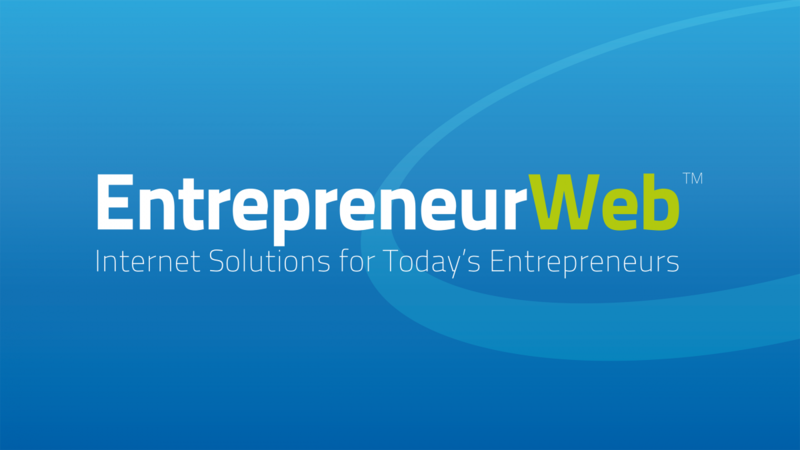 EntrepreneurWeb.com may act upon any communication that is given with the use of a Login Name or password. EntrepreneurWeb.com may in its discretion at any time require proof of the identity of any person seeking to access and use the Website, and may deny access to and use of the Website or parts of it or refuse to accept or act upon any communication if it is not satisfied with such proof. All information you provide through the Website, including registration information (name and email address), payment information (credit card numbers and expiration dates), and transaction-related information, must be true, accurate, current and complete. EntrepreneurWeb.com will rely on the information you provide. You will be solely responsible and liable for any and all loss, damage, and additional costs that EntrepreneurWeb.com, Entrepreneur Web Technologies Inc., Third Parties or any other person may incur as a result of your submission of any false, incorrect or incomplete information or your failure to update your registration information and payment information within 30 days of any change. EntrepreneurWeb.com reserves the right at any time and from time to time to use your photo, company name, company information, logo(s), testimonial(s), screen captures of your website(s), Facebook™ Timeline(s) and Facebook™ iFrame(s) for promotional, instructional, educational and/or commercial purposes. EntrepreneurWeb.com, Entrepreneur Web Technologies Inc. and the Third Parties assume no responsibility, and shall not be liable for, any damages to, or any unforeseeable event affecting your Facebook™ profile, Facebook™ Page(s)'s content and/or iFrame Page(s) accessibility. Facebook™ updates their platform from time to time and those updates/changes may affect the layout, design and/or functionality of customized iFrame Tabs for Pages. Although we do everything we can to facilitate our clients when these updates/changes take place, EntrepreneurWeb.com, Entrepreneur Web Technologies Inc. and the Third Parties assume no responsibility for the adaptation, rectification, fixes of your iFrame Tabs for Pages due to these changes. EntrepreneurWeb.com, Entrepreneur Web Technologies Inc. is NOT affiliated nor associated in any way with Facebook™. We enable visitors to the Website to provide us with feedback by email or otherwise ("Customer Content"). If you provide Customer Content you grant EntrepreneurWeb.com a non-exclusive, royalty-free, perpetual, irrevocable, and fully sub-licensable right to use, delete, reproduce, modify, adapt, publish, translate, create derivative works from, distribute, and display such Customer Content throughout the world in any media, now known or hereafter developed, for any purpose whatsoever, commercial or otherwise, without providing compensation to you or any other person, without any liability whatsoever, and free from any obligation of confidence and you waive any and all moral rights in the Customer Content. You also grant EntrepreneurWeb.com the right to use the name you submit with the Customer Content, if any, in connection with the Website' rights hereunder. Great care is taken in the production of the Website, however, misprints, errors, inaccuracies, omissions (including incorrect specifications for products) or other errors may sometimes occur. EntrepreneurWeb.com cannot guarantee that products and services listed on the Website will be available when ordered or thereafter. EntrepreneurWeb.com reserves the right to: (a) correct any error, inaccuracy or omission at any time without prior notice or liability to you or any other person; (b) change at any time the products and services advertised or made available for sale on the Website, the prices, fees, charges and specifications of such products and services, any promotional offers and any other Website content without any notice or liability to you or any other person; (c) reject, correct, cancel or terminate any order, including accepted orders for any reason and (d) limit quantities available for sale or sold. All prices quoted are payable in Canadian Dollars or US Dollars and, unless otherwise stated, do not include GST, PST, QST or HST. Unless otherwise stated, all payments must be made upon receipt of invoice and/or credit card payment request. Late payments will be subject to a late payment fee of $25.00 per week the payment is not made. If an amount remains delinquent after 60 days, Entrepreneur Web Technologies Inc. reserves the right to remove the Website, Website pages and e-mail accounts from viewing on the internet, leaving your website unreachable by the general public until final payment is made. A reactivation of your Website and its pages for viewing on the internet will be subject to payment of $25.00 per week late payment fees, $750.00 reactivation fee per Website + $200.00 administration fee. A $45.00 fee shall apply for any NSF cheque received by Entrepreneur Web Technologies Inc. from the client. Monthly web hosting fees shall continue until termination of the Agreement. Acting without prejudice Entrepreneur Web Technologies Inc. reserves the right to withhold domain DNS transfer until such time as all outstanding items are paid in full with payment fees. For “Pay in 12 months with no interest” conditions information, please click here. Except as explicitly provided in these Terms and Conditions as amended from time to time, EntrepreneurWeb.com, Entrepreneur Web Technologies Inc. and the Third Parties make no representations or warranties of any kind, express or implied, regarding EntrepreneurWeb.com and/or any content provided on the Website, all of which are provided on an "as is" and "as available" basis. EntrepreneurWeb.com, Entrepreneur Web Technologies Inc. and the Third Parties do not warrant the accuracy, completeness, currency, reliability or suitability of the operation of the Website, or any of the content or data found on The Website, and expressly disclaim all warranties and conditions in respect of the Website, its content or data, including implied warranties and conditions of merchantability, fitness for a particular purpose, title and non-infringement, and those arising by statute or otherwise in law or from a course of dealing or usage of trade. EntrepreneurWeb.com, Entrepreneur Web Technologies Inc. and the Third Parties are not responsible for late, lost, incomplete, illegible, misdirected or stolen messages or mail, unavailable network connections, failed, incomplete, garbled or delayed computer transmissions, on-line failures, hardware, software or other technical malfunctions or disturbances or any other communications failures or circumstances affecting, disrupting or corrupting communications. EntrepreneurWeb.com, Entrepreneur Web Technologies Inc. and the Third Parties assume no responsibility, and shall not be liable for, any damages to, or any viruses affecting your computer equipment or other property on account of your access to, use of, or browsing on the Website or your downloading of any materials, data, text, images, video or audio from the Website. In no event shall the Website , Entrepreneur Web Technologies Inc. or any of the Third Parties be liable for any injury, loss, claim, damage, or any special, exemplary, punitive, direct, indirect, incidental or consequential damages of any kind (including, but not limited to lost profits or lost savings), whether based in contract, tort, strict liability, or otherwise, which arises out of or is in any way connected with any use of the Website or content found herein, the operation of the Website, or any failure or delay in the operation of the Website (including, but not limited to the inability to use any component of The Website for purchases) even if advised of the possibility of damages. If, notwithstanding the foregoing, EntrepreneurWeb.com, Entrepreneur Web Technologies Inc. or any of the Third Parties should be found liable for any loss or damage which arises out of or is in any way connected with any of the functions or uses of the Website or its content, the liability of EntrepreneurWeb.com, Entrepreneur Web Technologies Inc. and the Third Parties shall in no event exceed in the aggregate $250 CAD. You shall indemnify and save harmless EntrepreneurWeb.com, Entrepreneur Web Technologies Inc. and the Third Parties and their respective officers, directors, employees, consultants, representatives and agents from and against any claim, cause of action or demand, including without limitation reasonable legal, accounting and other professional fees, brought as a result of your use of the Website. The Website may contain links to other web sites or internet resources which are provided solely for your convenience and information. When you click on one of those links you are contacting another web site or Internet resource. EntrepreneurWeb.com and Entrepreneur Web Technologies Inc. have no responsibility or liability for, or control over, those other web sites or internet resources or their collection, use and disclosure of your personal information. We encourage you to read the privacy policies of those other web sites to learn how they collect and use your personal information. The relationship between EntrepreneurWeb.com and you will be that of independent contractors, and neither of us nor any of our respective officers, agents or employees will be held or construed to be partners, joint ventures, fiduciaries, employees or agents of the other as a result of these Terms and Conditions or your use of the Website.